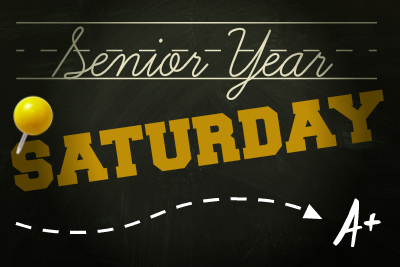 Welcome to Senior Year Saturday, my newest regular feature! Essentially, I talk about any and all things related to my final year of high school, from homework and extracurriculars to updates on college planning and thoughts on graduation. And more! (Such as that dreaded feeling known as “senioritis.”) Enjoy! Hi, everyone! I’ve written “a day in the life” posts before, and if your comments are any indication, they were quite popular. So here I am, doing another one! I thought I’d combine this one with Senior Year Saturday since I haven’t written an SYS post in a few weeks. P.S. Previous Senior Year Saturday posts may be found here. I’ve talked about a day in the life of a homeschooled sophomore, a day in the life of a homeschooled junior, and a day in the life of a 4-Her during the county fair. (And if you’d like to check out those posts, you can find them here.) I figured that if I wanted to write about a day in the life of a homeschooled senior, I had better do it soon since it’s almost the end of the school year… so here’s what I did on Wednesday, April twenty-second! Note: In order to keep track of everything, I carried a notebook with me all day to make notes about what I did and when I did it. Oh, and times are approximate. I don’t actually do things at precise five-minute intervals. That would be weird. Also, all my other “a day in the life” posts have been written in the first-person present-tense, so I’ll continue that tradition in this post. 5:25 AM – I wake up to the sound of my cat doing this annoyingly high-pitched, whiny meow thing that he does EVERY morning in a pesky attempt to get me to feed him. (He’s only recently begun to wake me up this early, though… sigh.) I stumble downstairs to get him food and water, insulting him along the way because SERIOUSLY, MR. WHISKERS?! SERIOUSLY?! 5:30 AM – I head back to bed and get some more sleep, now that the fuzzy beast’s appetite has been sated. 7:50 AM – I wake up and do all my “getting ready for the day” things: Making my bed, getting dressed, et cetera. 8:20 AM – I write some thank-you letters: One to a company that recently awarded me a scholarship, and another to the owner of a local comic book store whom I interviewed a few weeks ago as part of a school project. 8:30 AM – I check my email, social media, and blog comments, and look up the addresses for the company and the comic book dude. 9:15 AM – I make corrections to some astronomy assignments from the past few weeks, and my mom helps. 9:45 AM – I need something different to listen to on my iPod, so I work on transferring some songs from CDs to my computer and then to my iPod. 10:00 AM – I hang up the aforementioned load of laundry and start another load. 10:10 AM – We recently got eight new chickens, which we’ve been keeping in a pen in the basement because they’re fairly young still and it’s been cold out lately. Anyway, the reason I’m telling you all this is that my mom and brother are cleaning up the pen and need me to babysit the hens so they don’t scamper all over the basement. 10:30 AM – I get back on the computer with the intent of completing an astronomy assignment, but instead I’m sucked into the world of social media once again. Oops. 10:50 AM – I write “a dramatic retelling of the Big Bang,” as specified on this week’s list of assignments. 11:25 AM – Guess what? Social media. 11:40 AM – I can’t find anything on my computer desk! So I tidy up a few papers and eventually find what I’m looking for. 11:50 AM – I hang up yet another load of laundry and start a third load. 12:00 PM – I transfer more music to my iPod and check Facebook again while I’m at it. 12:15 PM – Lunchtime! I have some carrots and a leftover piece of muffuletta sandwich. 12:35 PM – I type up an essay about William Faulkner’s As I Lay Dying (that was due the previous week, oops) and mess with my iPod a bit more. 1:00 PM – I hang up a final load of laundry and then scurry around the house, making sure I have everything I’ll need for the errands I have to run this afternoon. 1:20 PM – I discover that I forgot to actually sync the songs on my computer to my iPod, so I do that. Because otherwise I wouldn’t have anything new to listen to while I run! 1:30 PM – Time for errands! I drive to the movie theater and pick up two tickets so that a friend and I can go see Avengers: Age of Ultron in a few days, then drop off a few books at the library. 2:15 PM – At the YMCA, I do two things: First, I talk to a person at the front desk about whether or not the Y would consider sponsoring a local race held by my 4-H group. I have no idea what their final decision is but the lady seemed pretty positive about my request, so that’s good! Secondly, I exercise. I walk to warm up, run around the track a bunch of times while listening to my iPod, and finish up by using the rowing machine for a few minutes. 2:50 PM – I drive to my college, which is a few towns away, because I have a meeting with one of my fellow students from Spanish class. We need to write a short dialogue for the speaking portion of our final exam! 3:15 PM – Hmm, our meeting was scheduled for 3:45. I may have slightly overestimated how long it would take me to drive here. Um. While I’m waiting, I listen to music and brainstorm ideas for our dialogue, then end up sorting through my Spanish folder and recycling a bunch of old hand-outs I’ll no longer need now that it’s the end of the semester. 3:50 PM – I wander around the building, looking for my classmate. By chance I find him in a stairwell, looking for me. Oops. 4:30 PM – I drive home. 4:40 PM – I’m back home, but kind of tired, so I just sort of wander around aimlessly for a little while. 5:00 PM – I check my email. 5:15 PM – I type up our dialogue and send it off to my partner. 5:45 PM – Time for dinner. We’re having Cobb salad tonight. Afterwards, I vacuum the kitchen, which is another one of my chores. 6:30 PM – I check my email some more, then log into my university account and look at study guides, information relating to finals, et cetera. 7:00 PM – I make myself some hot chocolate and start working on another scholarship. This one is sponsored by 4-H, so I brainstorm a list of past 4-H activities I’ll need to write about in the essay. 7:25 PM – I meant to use this time for writing. I REALLY DID. But I end up listening to music, reading book blogs, and chatting with the adorable, lovely, awesome Orphu @ A Mirror Made of Words. And then I write a teensy bit of a future blog post. 9:00 PM – I take a shower and do all my “getting ready for bed” things, like messing with my hair for an inordinate length of time because it’s so thick and curly. 9:30 PM – I have basically no floor space in one area of my room because it’s been taken over by stacks of library books, so I move random junk off the top of one bookcase and put the books there. Much better. Also, SO MANY BOOKS THEY BARELY FIT ON THE SHELF. 9:45 PM – I browse through a ginormous book I found at the library, the Marvel Encyclopedia. 10:15 PM – LIGHTS OUT! So all in all, that was a fairly normal school day for me. Obviously, weekends are different (I work on Sundays and nothing much happens on Saturdays) and I attend two classes on Tuesdays and Thursday. First comm, then Spanish. Also, I have two monthly 4-H meetings – one on a Monday night and one on a Thursday night, but not in the same week. I didn’t really have any meetings today, at least not anything formal. No club meetings, no committee meetings, blah blah blah. Anyway, I hope that you enjoyed this post and that it gave you some interesting insight into what homeschooling is like, particularly for high school students! That’s why I wrote my first ever “a day in the life” post – because a lot of people asked me how I spent my days, and I wanted to show them what I did. What are your days like? How are they similar to mine, and how do they differ? P.S. Feel free to steal this post idea, if you’d like! I’d be interested in seeing how you spend your days, too! This entry was posted in Homeschooling, Nevillegirl's Adventures!, Non-Neville Posts, Uncategorized and tagged a day in the life, college, high school, homeschooling, my life, senior year, Senior Year Saturday, teen. Bookmark the permalink. I LOVE THESE POSTS. I keep considering doing one, but eh, you guys will find out how much I burrow in my room and read. BUT IT’S COLD RIGHT NOW SO I HAVE REASONS. 5:25 is seriously an early start though, ha, cats. My puppy was getting me up at 6:00am for a while, but then he settled down, but now I want to get up at 6:30. Like, seriously, my dog hates me. Laziest animal in the world. I know, right? *sigh* Pets. Pets, why. They’re so cute and cuddly but also ANNOYING sometimes. Gah. You always seem so productive when you post these I’m pretty sure I’ve been impressed every time you’ve posted one. Differences: I’m pretty sure I was maybe 5% as productive as you were on Wednesday. Similarities: I also participated in that conversation in the evening. Also I’m hiding my face at my description there because no, you. Nooooooooo you are very very cute and also a much better person than I am. *nods seriously* And you send me random pictures of pretty women for no reason at all, which is always greatly appreciated. Pfffft, “pretty aggressive when it comes to food time” describes my cat perfectly. OMG. That’s because I am a very boring person! 😛 IDK. I’ve stayed up all night ONCE, but otherwise the latest is sometimes… 1? But even that doesn’t happen very often. I LOVE SLEEPING AS MUCH AS I CAN. So basically I’m just a slacker. I went to bed at half midnight a couple of days ago and considered it an early night. Whoops. Wait a minute. . . Apart from having to feed your cat, you wake up at 7:50 in the morning? And you go to bed at 10:15 PM? So that means you get *takes out calculator* Nine hours and thirty minutes of sleep each night. What is that like? It must be heaven.